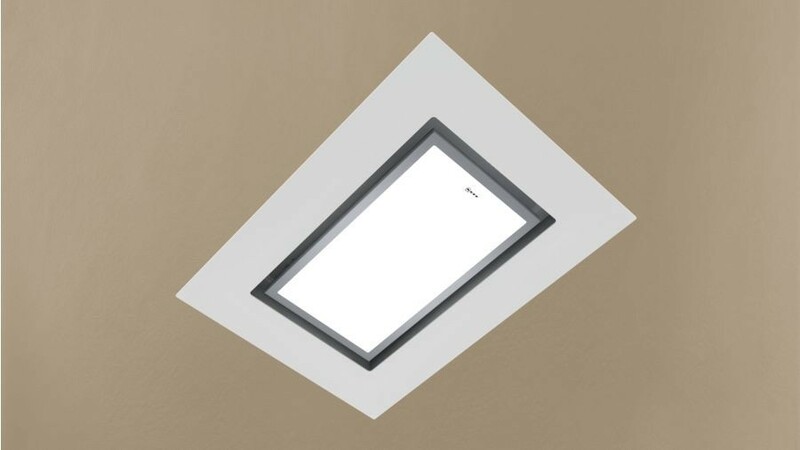 The NEFF I90CN48W0 Ceiling Hood with white glass and stainless steel is directly mounted on to the ceiling. An extraction rate of up to 850m³/h in recirculation helps to ensure your kitchen stays steam and odour free. Choose from 3 power levels and an intensive setting using the soft touch controls with LED display. A remote control also lets you change the settings if you have a high ceiling. Full surface LED lighting also ensures a pleasant indirect light helping to illuminate your hob area whilst cooking.